Dimensions: H77 x W36 x D36 cm approx. This quirky and distinctive Antique Gold Rabbit Ears Lamp With Black Shade would be a wonderful addition to many homes and interiors. 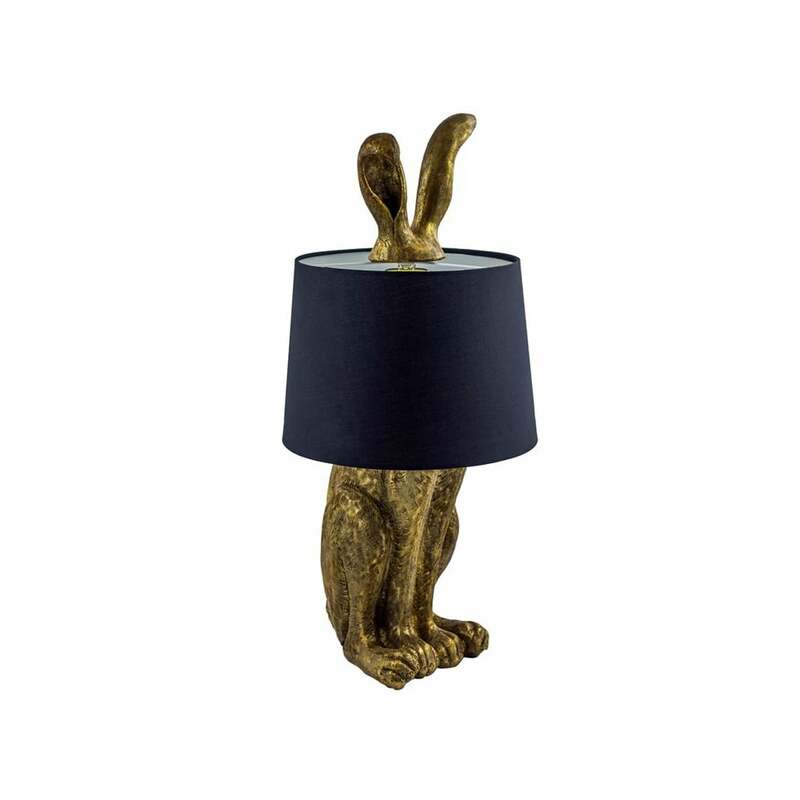 Featuring a gold rabbit body and ears peeping out of the black shade, this unusual lamp is sure to attract attention.